Our male employees are taking part in Movember. Growing their facial hair to raise awareness for men’s health issues. 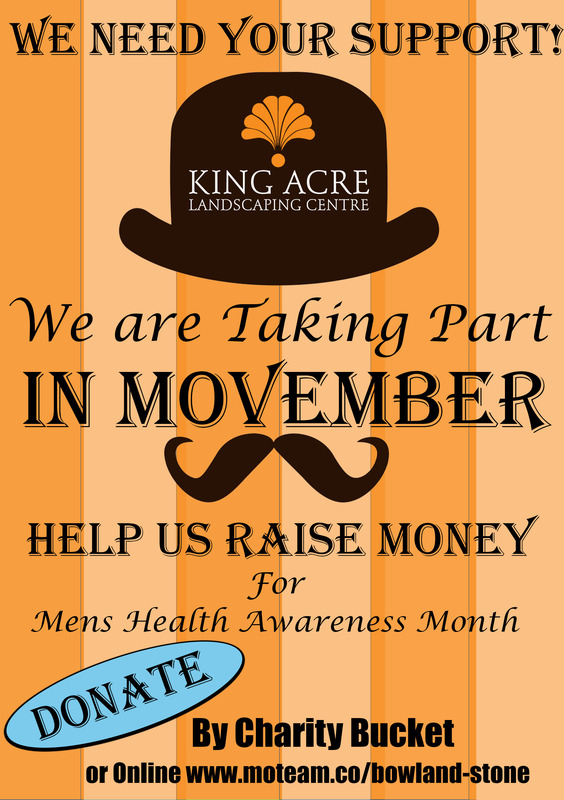 We will be raising money for Movember Europe who in particular support prostate and testicular cancer as well as men’s mental health and suicide prevention. You can find more information on Movember here www.uk.movember.com We are looking for donations to help prevent men from dying too young! If you would like to donate to this fantastic charity you can do so by clicking this link below. https://moteam.co/bowland-stone or alternatively we have charity buckets provided in each of our stores if you are planning a visit.